Stacey Farrell is one of the Rangers/ Skippers at Heritage Tours & Safaris. Incredibly passionate about photography and wildlife. The only Crane to perch itself in trees, considered living fossils among Cranes. Having flourished in the Eocene period some 54 to 38 million years ago and surviving the ice age. Yesterday the 30th March 2017 had to have been just one of those incredible days to have been in iSimangaliso Wetland Park better yet on the St Lucia Estuary. During one of the Hippo & Croc Boat Trips (Shoreline Boat Safaris) that depart daily to go in search of the resident Hippos, Skipper Stacey Farrell was fortunate enough to witness a rare sighting. A pair of African Crowned Cranes, these magnificent birds rare in the area offered some exquisite photographic opportunities for all clients aboard the vessel. The area iSimangaliso Wetland Park is South Africa's first world heritage and yet once again it has proven just why with this incredible sighting. The St Lucia Estuary of the largest in Africa is home to Hippos, Nile Crocodiles and of course an array of Bird Species. The habitat is ideal and offers not only a safe haven but nutrition to all inhabitants. Lifespan 22 years and 40 in captivity. 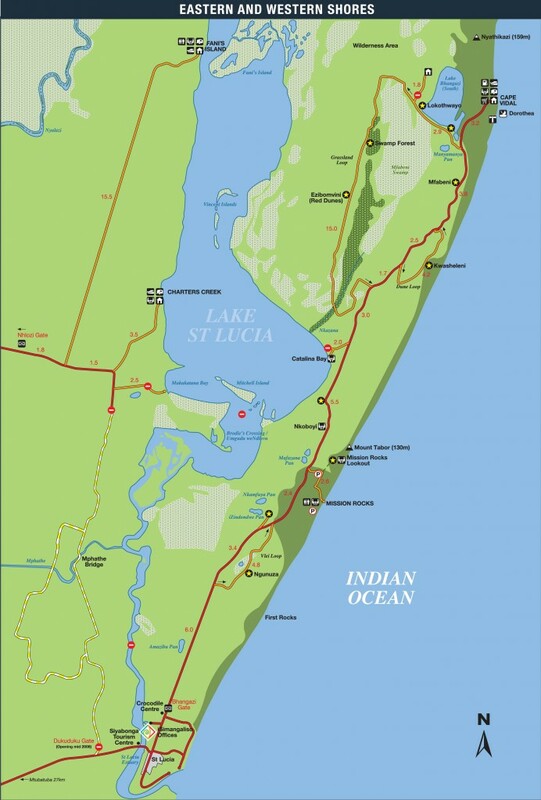 The St Lucia Estuary is sizable from North to South approximately 80 km depending on the rainy season and 22 km at its widest point. Over the last few months the system has become quite busy with numerous wildlife species showing their presence one such specie being Elephants swimming in the estuary. This spectacular sighting of the giants of the land have caused quite a stir in and around iSimangaliso hoping that they too would get a chance to witness this incredible sight. Once again Stacey Farrell was on the estuary and too was fortunate to capture this incredible event.